LET THE ALPINE TOUR BEGIN! 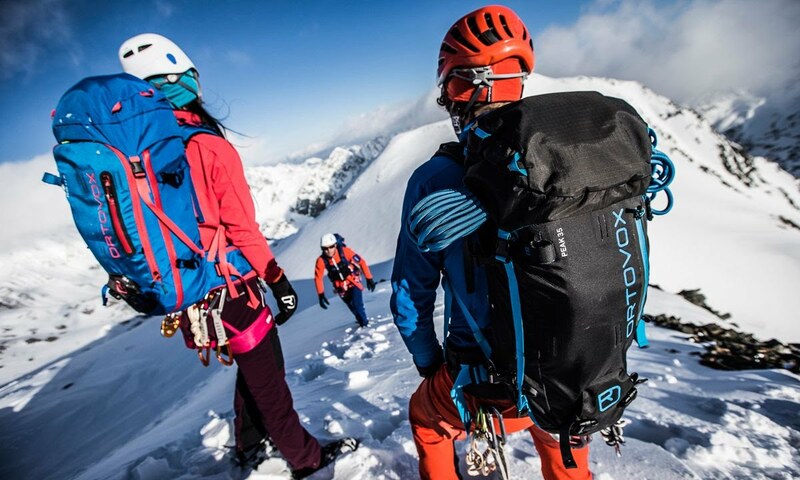 The PEAK 32 S is a backpack for Alpine activities that has been adapted especially for mountaineers with a short back – the “S” in the name stands for SHORT. The back system of this backpack is significantly shorter. This alpine tour backpack is very robust thanks to the use of the extremely tear and abrasion resistant material Nylon 420D Manstar. The broad, padded shoulder and hip straps distribute the weight of the load evenly between the shoulders and hips, ensuring a high level of wear comfort. A circumferential front zipper enables direct access to the main compartment. The PEAK 32 S also scores highly with a separate safety compartment, attachment options for rope, ice axe and crampons, as well as a separate map compartment and a hip pocket. This backpack is also hydration system compatible and includes images of Alpine emergency signals. What makes this backpack so special is the back system made from pressed Swiss wool. As with the clothing, mountaineers benefit from the wool’s unique moisture and microclimate management, making it feel comfortable and dry on the back. Thanks to the wool, the back of the backpack can absorb almost 30 times more moisture than a comparable back made from foam and is almost 7 % more breathable. A further advantage of wool is that the surface of the back system dries faster. The full contact back fits closely to the body and offers optimum weight distribution. The back design consists of two aluminum struts that offer high stability and guarantee great comfort, even when the backpack is heavily loaded. Quick access to emergency equipment. Perfect microclimate and weight distribution. Print (inside) shows you signals for emergencies. Water-resistant thanks to PU-coated material.